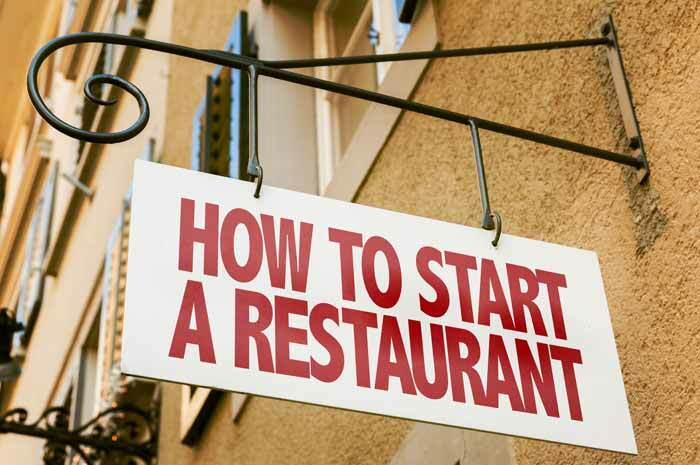 Ready to take the plunge and start your very own restaurant? Whether you’ve already signed paperwork and are working toward an opening date, or are in the very beginning stages, there are all levels of advice to look over. For instance, following franchise guidelines while still incorporating personalized touches, basic tips that will lead you toward the biggest line of success, and more. For the first-timer, however, there are also aspects you might not consider. Lessons that others had to learn the hard way … but that you can learn beforehand. Saving plenty of hassle, and even more money in the process. Everyone has one – a “groove” as to how quickly and efficiently they’re able to work throughout the day – they just have to create it. It might take a few weeks, or longer, depending on how many changes take place. But once it’s found, you’ll be able to multitask like you wouldn’t believe, flying through tasks with almost complete muscle memory. This is a huge perk and will streamline in incredible fashion, just don’t get discouraged if it doesn’t happen right away. Routines take time to lock down and can often be interrupted toward the beginning of a restaurant’s opening. Once others get the hang of things – including customers – work grooves will become far easier to achieve. What one franchisee did with a certain brand might not work for you. And that’s ok. Though there are a few concrete rules that can’t be broken, other areas are up for grabs (each which can change depending on the franchise brand in mind). Don’t feel pressured into following others’ footsteps, especially with aspects that don’t feel comfortable or specific to your location. Also, don’t be afraid to branch out and try something new. It’s always best to have research behind you, but testing out what’s best for each brand is one of the main points of a successful business. Including an owner who isn’t afraid to take those risks. And if you’re worried about said risks, there’s always advice to be given from corporate or other franchisees. It’s true. Every hour you put in is an hour you don’t have to pay someone else. It’s also an hour of important tasks getting done, as well as you being on your way to a more successful business. Especially in the business when groundwork needs to be laid, in addition to everyday tasks that keep the restaurant up and running. This might mean long days or stressful bouts, but in the long run, franchisees of all experience levels have said extra hours more than pay off. Especially once the basics have been taken care of, and you are able to work fewer hours or on shorter schedules to receive the same results. Not to mention the incredible sense of accomplishment of having built your own profitable branch. While it’s important to work hard, that doesn’t mean you should work 24/7 or that you should do every single task yourself. Attempting to do so will only burn you out too quickly and create an environment where you’re unhappy. Finding that balance is difficult, but imperative to finding a successful opening, and then subsequent business flow. Additionally, having an extra set of eyes can keep you on track, while also performing tasks more quickly. Ask family members to help get you set up, or hire on a manager or part time help in the development stages to help bring up the slack. Those who help you build the restaurant from the ground up are also more likely to feel more invested in the project and stick around for the long haul. That’s just part of the gig. Meal times are busier, as are weekends. National holidays will also receive more attention than the average Monday. Embracing these changes early on will allow you to better accept them and better prepare your staff. It’s also worth noting that you’ll also be slow or busy for long periods at a time, without warning. A fact that there’s nothing wrong with. Learn to embrace the downtime and grit your teeth when it’s busy. In the long run, everything will even out, creating a profitable business that’s ready for success.